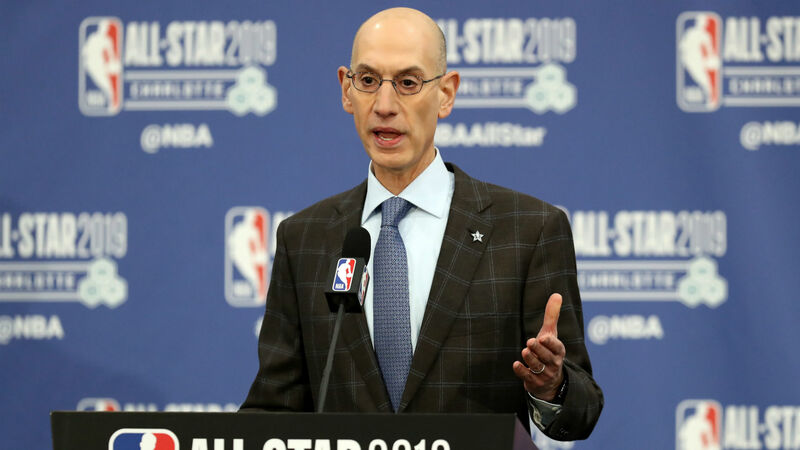 The NBA has submitted a proposal to the National Basketball Players Association to lower the draft age from 19 to 18, USA Today reported Thursday. The NBPA is expected to review the proposal on Monday during their summit in the Bahamas. It marks the first legal step the league has taken to lower the draft age, even though there had been talks of doing so for some time. The goal is to have the new rule in effect by the 2022 draft. For the draft age to be lowered, both the NBA and NBPA have to be in agreement with all the terms. NBA commissioner Adam Silver went on record to say he was in favor of the change back in July during the NBA owners meetings. “My personal view is that we’re ready to make that change. … When I’ve weighed the pros and cons, given that Condoleezza Rice and her commission (On College Basketball) has recommended to the NBA that those one-and-done players now come directly into the league, and in essence the college community is saying we do not want those players anymore," Silver said. The three-year buffer before the rule would go into place, if passed, is to prepare NBA teams for the change in terms of draft picks, rosters and any other ripple effects lowering the draft age will cause. Interestingly, the submittal comes one day after Duke star Zion Williamson injured his knee during the Blue Devils' game against North Carolina on Wednesday. It brought up many complaints surrounding the NCAA and players being drafted, including how college athletes are not paid and that they should have the choice to head to the NBA after high school.